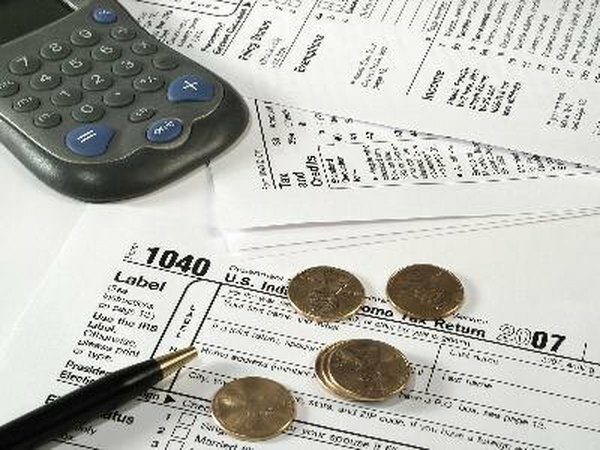 A 1099R can make filing your taxes more complicated. 3. Do You Have to Claim Income From 401(k) on a Tax Return? Form 1099R is a tax information form you'll receive if you've taken a distribution from a retirement plan. The IRS requires the custodian of the plan issuing you the distribution to forward a copy of the 1099R to both you and the IRS. Most distributions from IRAs, 401(k) plans and other retirement plans are taxable. However, even if you take a tax-free distribution, such as a qualifying distribution from a Roth IRA, you'll have to report the withdrawal on your taxes. Form 1099R comes with instructions on the back. You can visit the IRS website for further information. To get started, gather all of your 1099-R forms. If you take distributions from multiple retirement plans, you'll get a 1099R for each plan. You must combine the information from all of your 1099Rs when you file your taxes. Transfer the amount in box 1 of your 1099R to your Form 1040 on the line for "IRA distributions." On the new version of Form 1040, IRA distributions, pensions and annuities go on line 4a. If you received a Fidelity Form 5498, you'll want to check Form 5498-SA instructions for information on how to proceed. Report the amounts in box 2a on your Form 1040. If the issuer knows the taxable amount of your distribution, it will appear in box 2a. For IRA distributions, transfer the taxable amount to line 15b of Form 1040. For pensions and annuities, the taxable amount goes on line 4b of Form 1040. Calculate and transfer the taxable amount if box 2b is checked. Box 2b, "taxable amount not determined," is used by issuers who do not know the tax status of the distribution. In the case of IRA distributions, the entire amount is usually taxable. IRS Publication 590 outlines situations where your distribution might not be taxable, including most Roth IRA withdrawals, a rollover to another retirement plan or the payout of nondeductible IRA contributions. For annuity payouts, refer to the work sheet in IRS Publication 939 to compute your taxable amount. Research the code in box 7. The circumstances surrounding your withdrawal will be recorded in box 7. In some cases, you might owe additional taxes. For example, if you took money out of your IRA before age 59 1/2, code 1 will appear in box 7 of your 1099R and you'll owe a 10 percent early withdrawal penalty. If you had extra taxes, you'll need to complete Schedule 4 as an attachment to the new 1040. If you had taxes withheld from your retirement plan distribution, they will show in box 4 of your 1099R. Record these amounts on line 62 of Schedule 4. Transfer the amount of taxes you paid on line 14 of your Form 1040. If your 1099R shows that you owe additional taxes for an early distribution, you'll have to complete Form 5329 and report these additional taxes on your Form 1040. Form 5329 is used to report extra taxes paid on IRAs or other qualified retirement plans. When you file your taxes in 2018, you'll notice there are changes to Form 1099R. These updates were made to address changes brought with the Tax Cuts and Jobs Act. If you rolled over a retirement plan to a Roth IRA after Dec. 31, 2017, you can no longer recharacterize that rollover as having been made to a Traditional IRA. There's also a new box for disaster-related plan distributions and a box to address reportable death benefit requirements. If you're filing your 2017 taxes, you can still recharacterize your Roth IRA rollover as being to a Traditional IRA, since the change will have been made before the deadline. How Are 1099-R Forms Coded for Roth Conversions? Can I Use My Retirement Plan if I Retire Because of Disability?